I was living in the Bay Area in the late 1990s when a colleague of mine strongly suggested that I join the Network Services team at Acuson Corporation in Mountain View, CA. Acuson makes ultra-sound equipment for the medical industry. 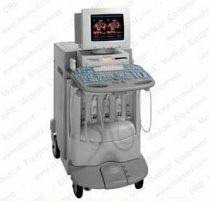 The company was traded publically before being acquired by Siemens Medical Systems. At the time I was there, the founder, Dr Sam Maslak was CEO and actively engaged in the day to day activities of the business. This was my first assignment at a large company and the project I was going to be working on consisted of a migration of the entire infrastructure from Netware 3.12 to Windows NT 4.0. The project had to be completed before the end of the new Millennium because Netware 3.12 was not Y2K-compliant and management could see Windows eclipsing Netware in the near future. Compaq servers were ordered and installed, HP smart switches were put in place, wires were pulled in many buildings on the extended Mountain View campus. The campus hosted the sales, marketing, engineering, research, executive, production and distribution organizations. Imagine, a company actually building something in the USA besides social media web sites and reality TV. Acuson had sales, service and distribution offices world-wide: London, Stockholm, Moscow, Honk Kong, Tokyo and other major cities. The ASK man-man ERP system was popular with manufacturers in Silicon Valley. It was written in Fortran and ran on a Unix platform. Acusons Network Services group ran the data centers as well as all of the LAN/WAN infrastructure. Beside the Windows Migration project, IT was converting ASK to SAP. While I was there, an Army of consultants and implementers were engaged in fact-gathering and SAP modifications to implement ASK functionality in SAP. Each month bags of money were delivered to SAP to feed the monster. During this project, a new release of SAP came out that contained much of the functionality that the consultants were creating in the old release. That didn't end well for the ID vice-president who was soon working for a startup called TIVO. The team was provisioning NT 4.0 servers in the Mountain View data center, deploying new NT 4 Workstation computers to users and moving files from Netware servers to Windows File servers. When the main campus was complete, it was time to extend the network globally. Prior to this each foreign office worked independently on what ever resources were at hand: Windows for Workgroups, Unix, Macintosh, Netware, DOS, you name it. Late 1999 found SAP fully deployed and our teams visiting Europe and the Far East. I went to London, Stockholm and Moscow with our Desktop Support person and the European IT Coordinator, based in London. It was a two step operation. The Desktop support person, reinstalled a Windows NT Workstation 4.0 image on each computer while I installed the new server and printers and migrated all of the files, set up DNS, DHCP, File and Print Services. Prior to departure, we installed a common server image on each machine and shipped it to its new location. Before leaving, each team took a backup of the NT database. When I was on site, I used the backup along with DCPROMO to create a Backup Domain Controller (BDC). Once the server was promoted, the initial synchronization with the Primary Domain Controller (PDC) in Mountain View ran quickly over the WAN. I was able to visit, Buckingham Palace, the British Museum, the Royal Albert Hall, the Theatre District to see a play that escapes me, Windsor Castle, Canterbury Cathedral and Stonehenge while in London. Stockholm presented me with meatballs, the Vasa museum and Old Town, Upsalla and Goteburg. Somehow, it wasn't as exciting as the Steig Larson novels. Russia was a blast! We got to stay at the Kapinsky across from the Kremlin: great food, vodka and a great spa. We toured the Kremlin, GUM (famous department store), the Metro (subway) and Lenin's tomb. Our tour guide (the office receptionist) got us tickets to the Bolshoi Ballet. That was cool because she got the six of us in her Lada and in the process of "driving while turned around to talk to the people in the back seat", collided in a gentle bump with the car in front of us. The police just happened to be on the scene directing traffic so the folks from the car in front of us, the cops and our tour guide got into negotiations on how to handle this to everyone's benefit. The Lada team took up a collection and rubles changed hands and we were on our way to the theatre. I confess, it wasn't the greatest but it was culture. You can see that I really enjoyed this part of the assignment. Haven't had another one like it. Oh, January 1, 2000 came and went and everything worked.